Every week, I try to take out my son Therion and go visit interesting places. We were supposed to go to this museum somewhere near Russell Square in London, but found out at the last minute that it was only open from 1pm! The Oxford University Museum of Natural History (quite a mouthful) is a favourite of ours. About an hours drive from West London, with easy parking near it (provided you arrive early), there's quite a lot to see. 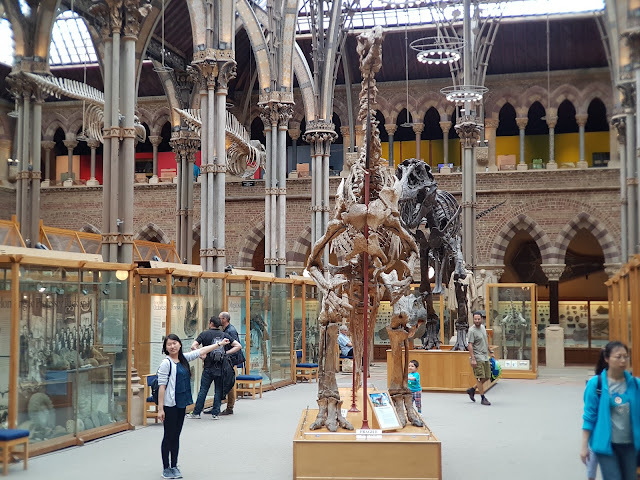 Compared to the Natural History Museum in London which is massive, the one here in Oxford is considerably smaller. 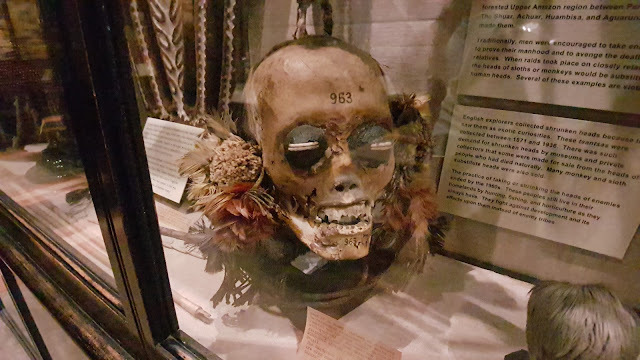 I found it to be a nice surprise that even with the small space, there's a lot to see and the curators have managed to make use of all available space to fill the museum with pieces. The architecture is nice, and my son Therion easily calls this as one of his favourites. There are dinosaurs, there are animals from the ice age, so many insects, and so many skeletons. There's even a row of the bones of several whales suspended in the air which is really fascinating to see. Guess what. There's ANOTHER museum at the back! The Pitt Rivers Museum. 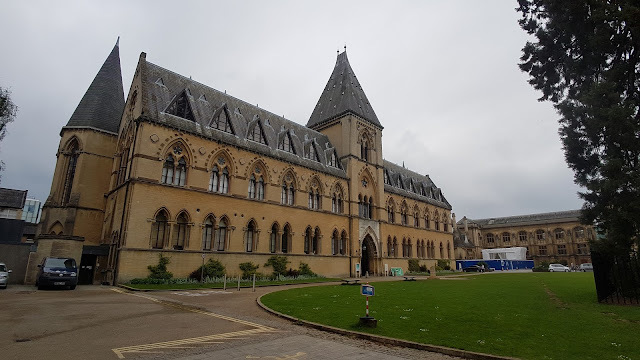 The BEST part about visiting Oxford for them museum can be found when you go towards the back. There you'll see a door that leads to the Pitt Rivers Museum, and I have to say that this is the best part of the trip! 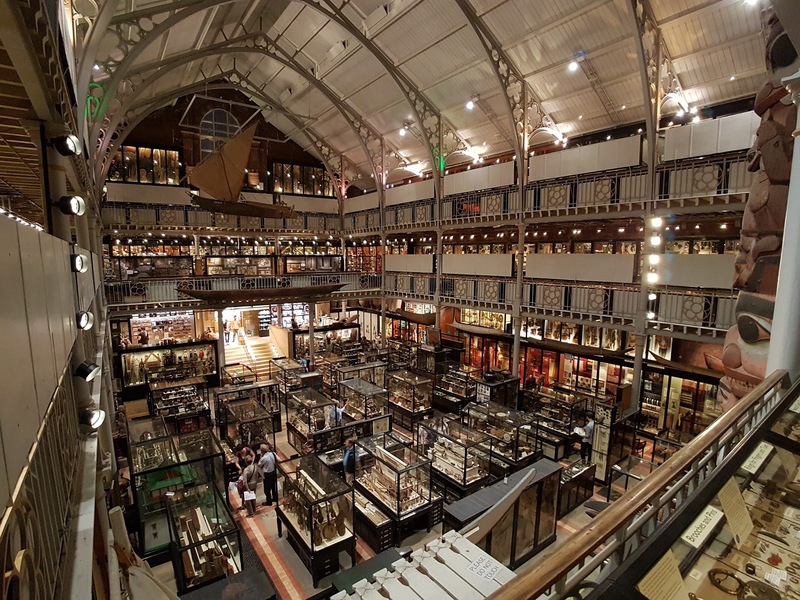 The Pitt Rivers Museum has a fascinating collection of items from so many cultures all over the world. Talking to one of the museum staff, one of the main attractions are the shrunken heads. It's one thing reading about them, but seeing several in real life is another! He/she never would have imagined to end up in a museum somewhere. 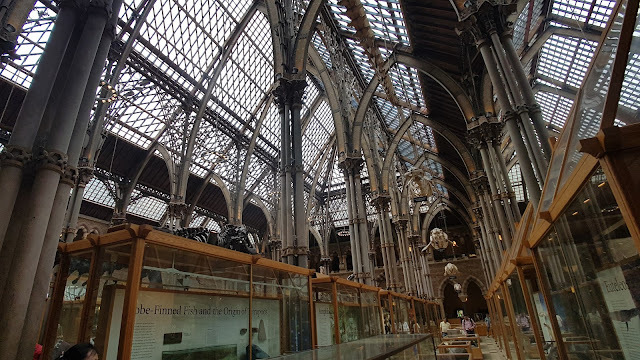 The Pitt Rivers Museum, at the very least for me, is the highlight of going to Oxford's Museum of Natural History. I could easily spend hours just perusing the collection in display. You have Japanese masks, old toys from the last few hundred years, and even weapons from all over the world used by various cultures. There are even boomerangs! 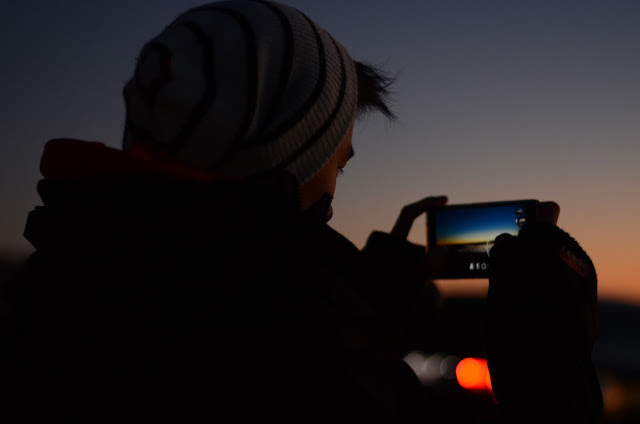 It was a nice trip. We'll probably visit again sometime during Summer break. I'll have to add a few things to visit in Oxford. It's a beautiful city and I feel like I've barely scratched what the city has to offer.